This year's selection of food books has been especially fruitful (pun intended). 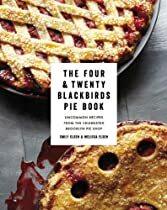 One of the year's most anticipated cookbooks is out this week, The cookbook The Four & Twenty Blackbirds Pie Book: Uncommon Recipes from the Celebrated Brooklyn Pie Shop, beautifully written and filled with recipes by one of my favorite NYC dessert spots. 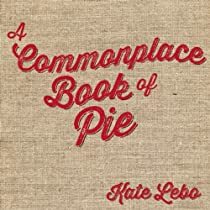 Equally impressive is Kate Lebo's poetry collection A Commonplace Book of Pie, a true celebration of food and our appetites. For a chance at winning these books, leave a comment with your favorite flavor of pie. The winner will be chosen randomly at midnight ET Friday evening (November 1st).